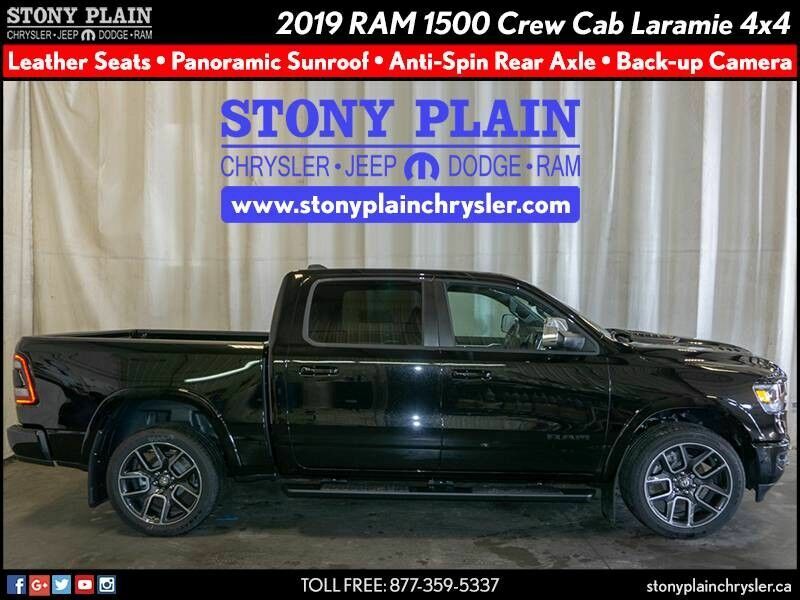 This outstanding example of a 2019 RAM 1500 Crew Cab Laramie 4X4 Pickup Truck is offered by Stony Plain Chrysler. You appreciate the finer things in life, the vehicle you drive should not be the exception. 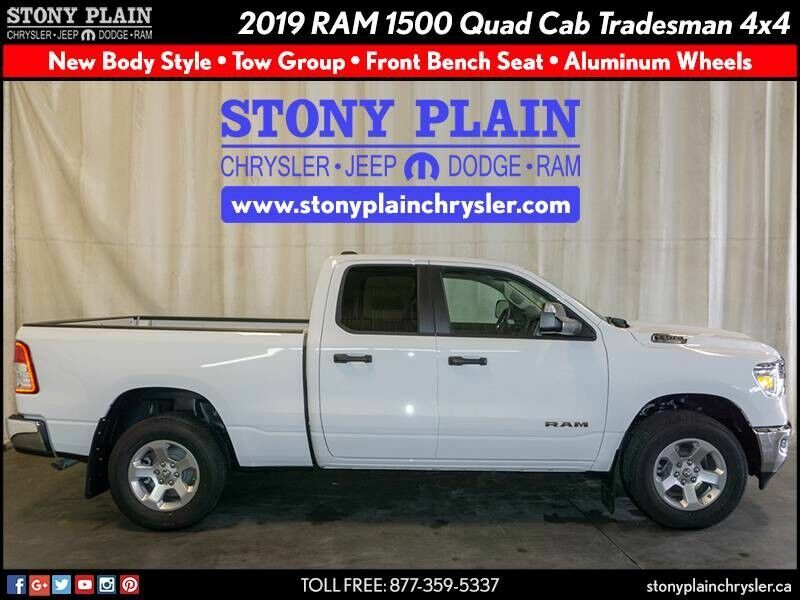 Style, performance, sophistication is in a class of its own with this stunning RAM 1500. Handle any terrain with ease thanks to this grippy 4WD. 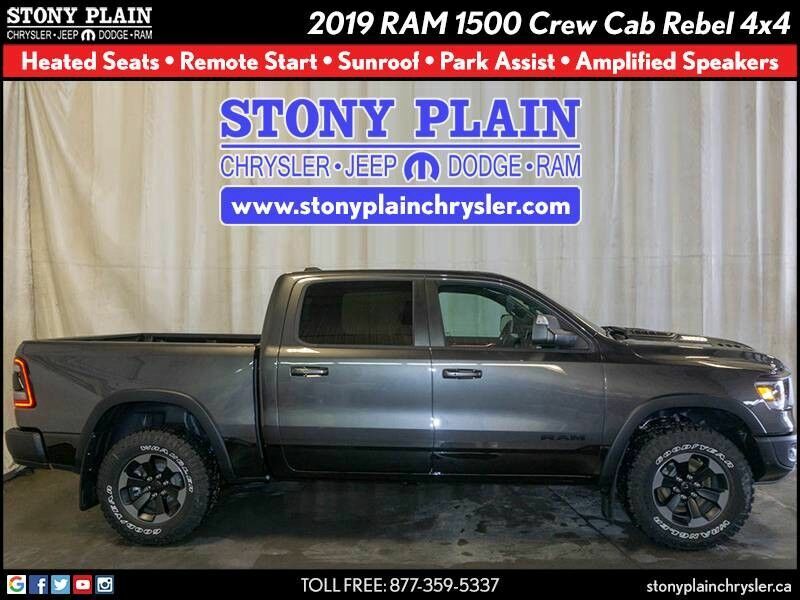 Whether you're on a slick pavement or exploring the back country, you'll be able to do it with confidence. 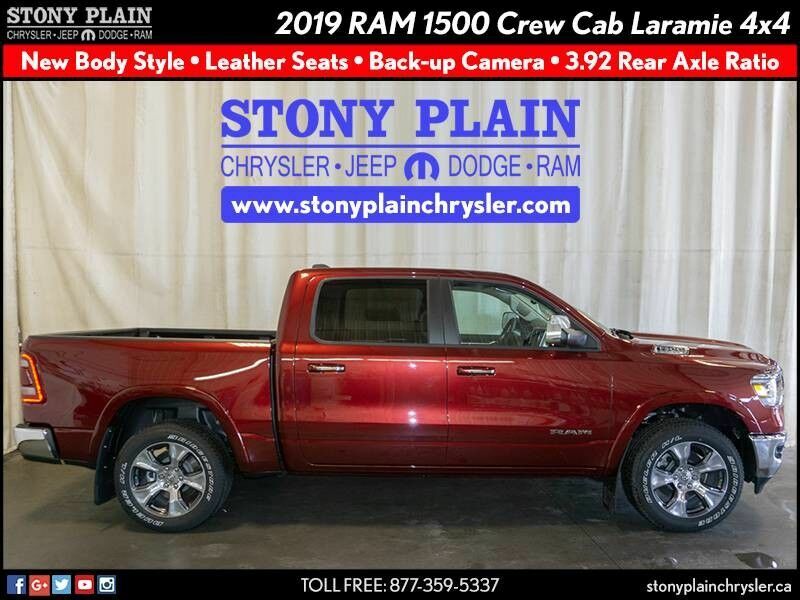 Added comfort with contemporary style is the leather interior to heighten the quality and craftsmanship for the RAM 1500.